The Most Powerful Medicinal Tea in the world! Qing Yun Moyeam Tea is the largest known producer of polyphenols and flavonols in the world at 58% of its plant weight. 40% of the plant weight are flavonols with the three quarters of that amount being the Myricetin— the King of Flavonols. This massive amount dwarfs the content of all other grades of Moyeam Tea and all other plants. Only “Platinum Grade” Qing Yun Moyeam achieves true medicinal quantities of these health-inspiring flavonols. Eagle Tea super produces two key flavonols: Kaempferol and quercetin. This ancient tea has been consumed in areas of China for hundreds of years. We have identified the finest growers in our search to provide you with its extraordinary health benefits and exceptional taste at a very reasonable price! Loose leaf tea container with 100 grams of tea. Normal steeping dose is two grams. Each dose can steep up to five cups of tea or one quart. Leaves may be stored and reused for multiple cups of tea. 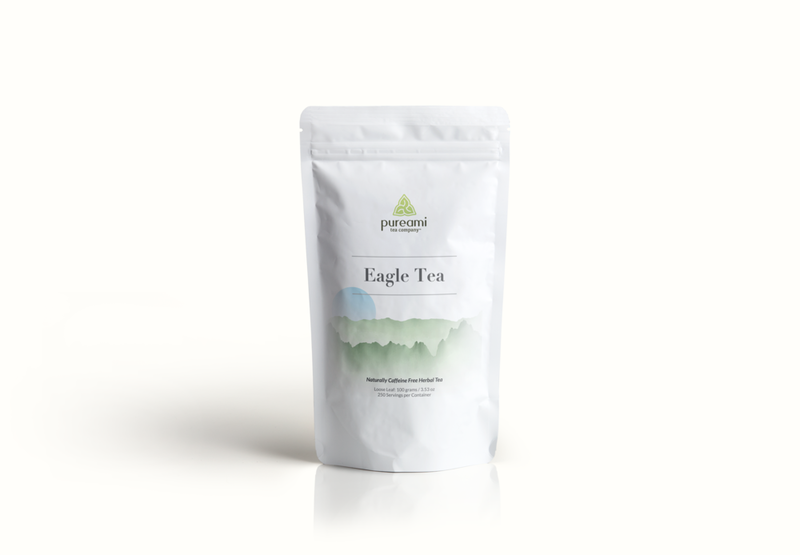 Once first used, Eagle Tea becomes a perishable item and should be used within the next couple of days. Best stored in a refrigerator in a Ziploc bag. A container of twenty five (25) two gram tea bags. Normal steeping dose is two grams. Each dose can steep up to five cups of tea or one quart. Leaves may be stored and reused for multiple cups of tea. We have created this proprietary blend to maximize the content of gossypetin. Consumed for hundreds of years, we have taken these two rather common ingredients and put them together in a unique ratio to maximize its health benefits while retaining its outstanding taste and affordability. A container of twenty five (25) three gram tea bags. Normal steeping dose is three grams. Each dose can steep up to five cups of tea or one quart. Leaves may be stored and reused for multiple cups of tea. Once first used, the Chrysanthemum / Hibiscus Tea becomes a perishable item and should be used within the next couple of days. Best stored in a refrigerator in a Ziploc bag.